Not yet used the papers, these are from some older kits. to finished off the card. Card 2 is for today's color challenge. 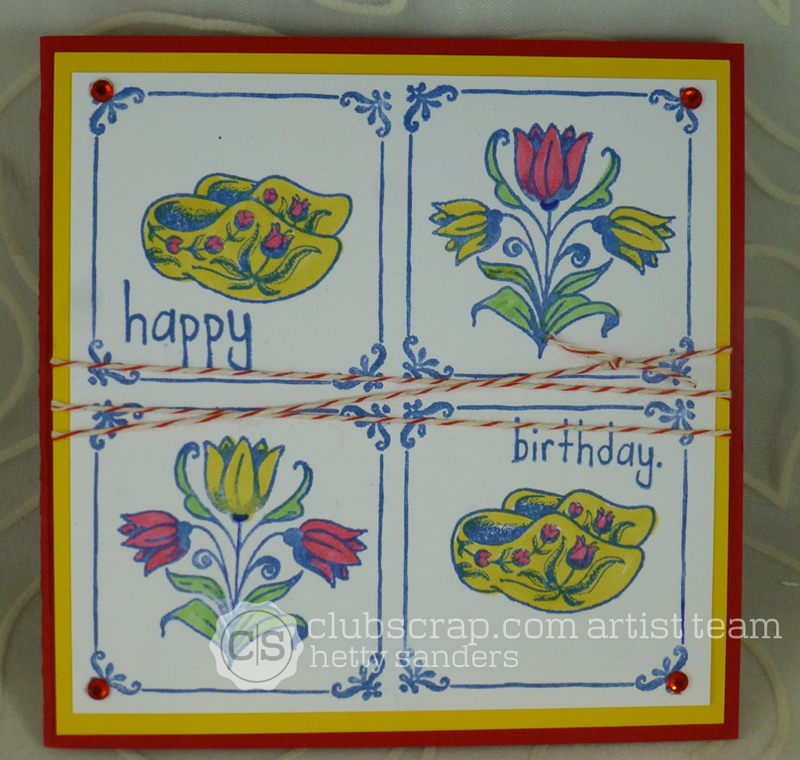 with the tulips and the crackle stamp. Love those images and you have used such beautiful colours, making a beautiful card. 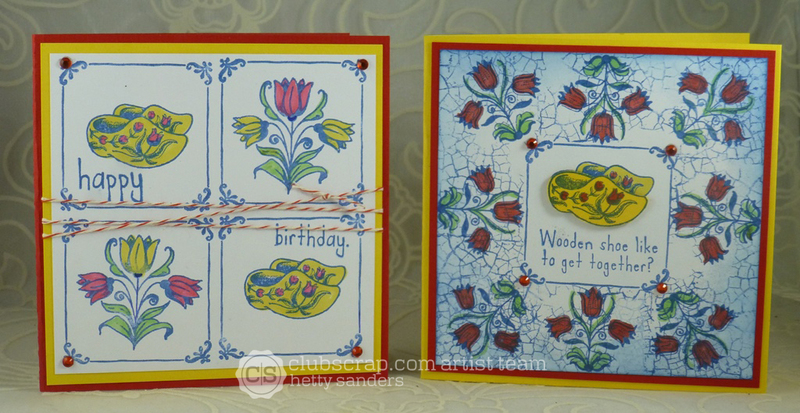 Hetty, I love what you have created from the Club Scrap Delft kit! The first card really looks like tiles! Cool stamp border. 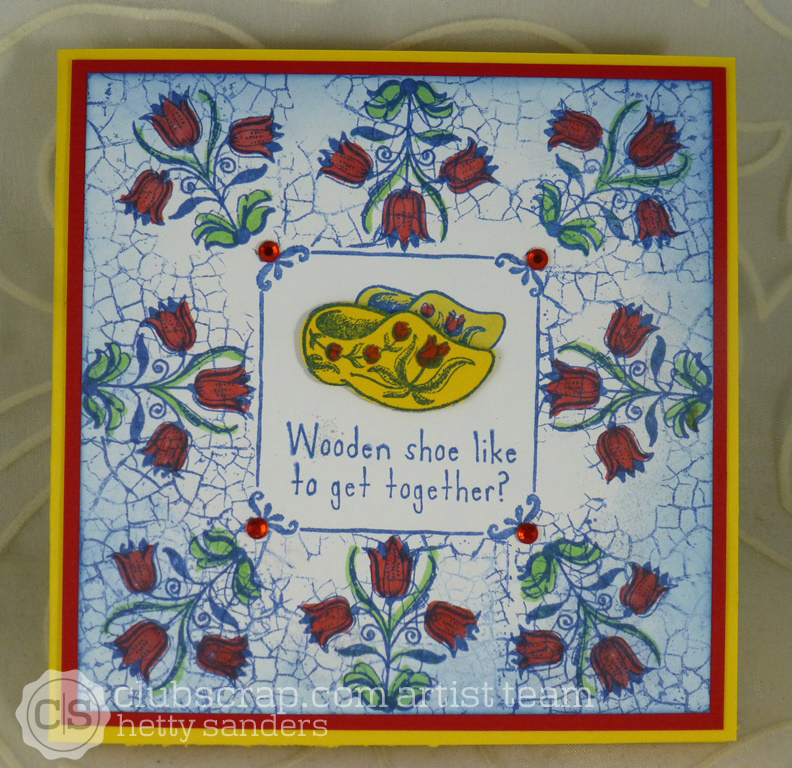 And the tulips and wooden shoe stamps area just adorable! Love both of your cards! So cute! 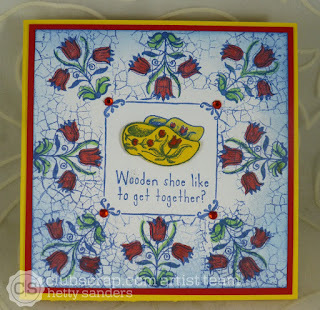 I like the wooden shoes and tulips! Gorgeous cards, Hetty!